Just thought I'd share a gift from my lovely Czech lady which now hangs in my bedroom. 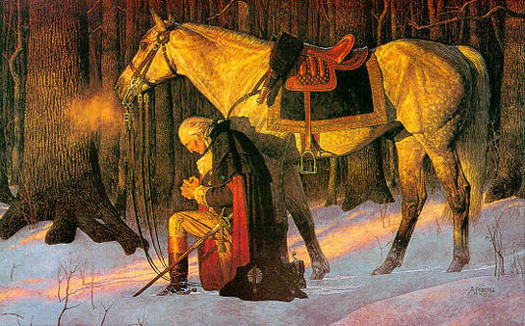 "The Prayer at Valley Forge" by Arnold Friberg. Nice, is that a glicee print?